One of the most popular cosmetics in Japan in recent years is BB cream!! It’s actually from Korea, where BB cream was popular among famous actresses and make up artists. Since 2008, it spread over the women in Japan. The “BB” stands for Blemish Balm, and it’s between skincare and make-up. 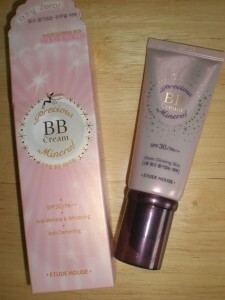 BB cream has moisturizing, anti wrinkle or whitening serum, and it works as sun protector, foundation and concealer too. It’s said more you wear it, more your skin gets beautiful. Because BB cream has everything, women can shorten the make-up time, which is perfect for busy morning!